More and more, the field of veterinary medicine is recognizing the role oral hygiene plays in a cat’s overall health. Cats are just as susceptible to tooth problems as are humans. 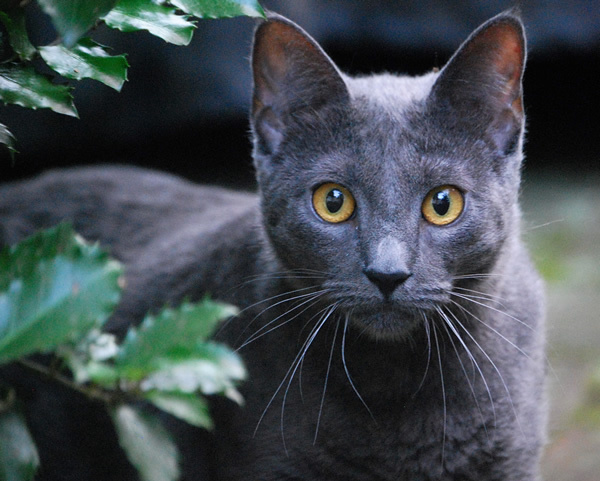 More than 50% of adult cats over the age of 3 have some degree of dental disease. Whether it is gingivitis, tartar build-up, gum disease, or tooth resorption, the impact on your kitty’s overall health could be quite serious. Just as with humans, if bacteria from an oral infection spreads into the bloodstream, it could cause permanent damage to major organs. That’s why at Exclusively Cats, we believe in educating our clients about the benefits of maintaining good oral health. Most dental issues are discovered through regular oral exams. When you bring your cat in for a feline wellness exam, we will carefully inspect your kitty’s teeth, gums, and mouth. If your cat is healthy, then preventive measures such as brushing your cat’s teeth and providing feline dental chews will be discussed. View an excellent “how to” video from Cornell University’s College of Veterinary Medicine on how to brush your cat’s teeth. For feline dental chews or treats, we recommend C.E.T.® Oral Hygiene Chews for Cats and FELINE GREENIES® Dental Treats. No matter how good of a job you do at home, your cat’s teeth will eventually need to be cleaned professionally. 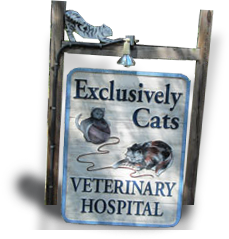 If it is determined that a cleaning is necessary, the veterinarian will discuss with you the pre-anesthesia blood work and special measures that will be necessary for your cat per her age, medical condition, severity of dental disease, etc. So what happens while your cat is anesthetized for a dental cleaning and oral exam? Scaling the teeth to remove tartar above and below the gum line. This is completed via a combination of hand-held instruments and an ultrasonic dental unit. Polishing to smooth the surface of the teeth, making them resistant to additional plaque formation. Irrigating the oral cavity with a series of antibacterial rinses to remove dislodged tartar and accompanying bacteria. Conducting a thorough examination of the teeth and oral cavity to detect any dental disease and gingival pockets that may be hidden by the tartar, as well as any masses or abnormalities that may be occurring in your cat’s mouth or throat. If you have any questions about dental cleanings or oral care for your cat, please don’t hesitate to contact us.